A Voice for Peace, Concord, and Harmony: XIII International Poetry Festival in Philadelphia will congregate poets from Latin America, Spain, and the United States in an evening of verse and music on May 1. Each poet will read one piece, and at the end of each poetry round, a short musical performance by the Matt Ford Trio will delight the audience. An open mic session will be available for other poets to present their poetry work at the end of the poetry reading circle. Dr. Norma Corrales-Martin (Colombia) got her Master’s in Hispanic Linguistics from the prestigious Instituto Caro y Cuervo in Bogota. She has a Ph.D. in Education from Ohio University. She has developed Gramática Viva (Live Grammar), a grammar centered on the verb. Her poems have been published in Rondas Literarias de Pittsburgh, Voces del Caribe, and Hispanic Journal. One of her poems is part of a mural about the culture of her native city, Lorica, Cordoba. miro al bar y todos no sé dónde han ido a parar. 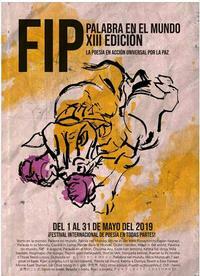 Dr. Corrales-Martin has organized the International Poetry Festival in Philadelphia since 2014. She strongly believes in the importance of poetry for providing a voice that could be critical, but always harmonious in hopes of creating a world where our humanity is shared and celebrated. Soledad Chavez-Plumley (Colombia) born in Jesus María, Santander Colombia immigrated to the United States in 1978. She earned her undergraduate and graduate degrees from The Community College of Philadelphia, La Salle University, and University of Pennsylvania. She developed her love of writing in childhood, and has since published several works. Her latest poetry book is titled Tres en Uno: Poemas de Soledad. pero no más que tu para destruirte. pero no por mi sabiduría despreciarte. y tenga que conformarme con mi soledad. Dr. Aurora Camacho de Schmidt (Mexico) a Mexican citizen has lived in the United States since 1968. She studied Philosophy at Universidad Iberoamericana and received a Doctoral degree in Latin American Literature from Temple University. She retired as professor from Swarthmore College in 2013. Poetry has always been part of her life. llena de días de espera. ¿Al cuerpo o a la mente? Dr. Aurora Camacho de Schmidt believes that poetry builds community: "It was probably one of the first ways human beings used to tell stories, keep historical records, and store knowledge for the benefit of future generations. To write poetry is a way to venture in search of meaning, and poets (like other artists) do this venturing and risk-taking on behalf of everybody. We are desperately looking for meaning in this particular historical moment, in the United States and the world. The poem is at once a place of discovery and encounter. Because we are, like never before, a global society. Our different languages do not separate us: they unite us. They are the vehicle by which we discover our unity and difference. It is good to discover the universal value of poetry, especially because, unlike other arts, it does not require special equipment and costly ingredients to produce. It belongs to everyone and potentially it can be created and shared by everyone." Dr. Azahara Palomeque (Spain) is a Spanish poet and writer. She is the author of the books R.I.P (Rest in Plastic) (2019), En la Ceniza Blanca de las Encías (2017), and American Poems (2015). She holds a Ph.D. in Spanish and Latin American Cultural Studies from Princeton University. Qué siente la última matriosca. la más reciente, e inaccesible. Dr. Palomeque believes that "poetry events foster a sense of community, help promote the work of poets who would be unknown otherwise, and (should) engage the readers and audience in a way that promote critical thinking and aesthetic pleasure. [In addition] shar[ing] my poetry [work] with an interested audience, and continue to prove that poetry is necessary to deconstruct language structures that carry certain social assumptions and induce social conformity. The fact that this event is global implies that people from different parts of the world are willing to share their thoughts and build something new out of their own differences and original cultures. This is terribly challenging and valuable." A Voice for Peace, Concord, and Harmony: XIII Poetry Festival in Philadelphia will celebrate, for a third consecutive year, the aesthetic pleasure of poetry. Please join us at Parkway Central Library on Wednesday, May 1 from 6:00 p.m.—8:00 p.m. in Room 405. 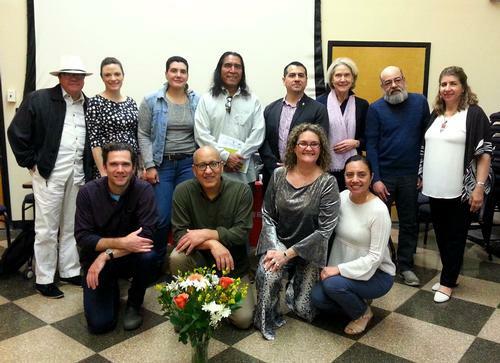 This program is part of the International Event Festival de Poesía en Todas Partes XIII, organized in Philadelphia by Acción Colombia, the Department of Spanish and Portuguese, Temple University, and the Free Library of Philadelphia. For additional information please email Norma Corrales-Martin at ncm@temple.edu. ¡Los Esperamos! 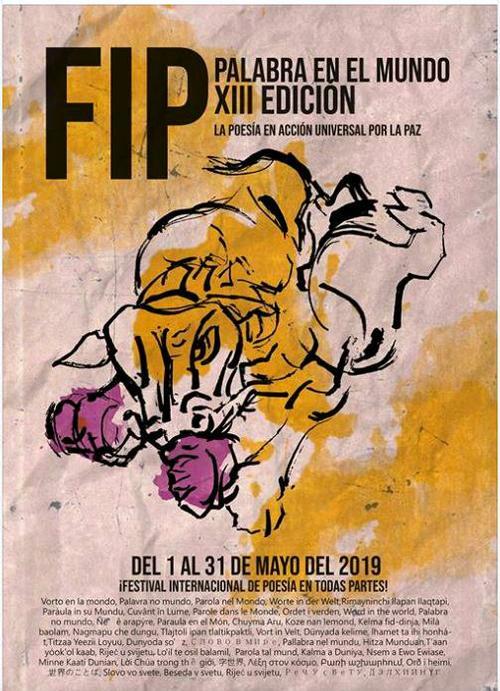 Festival Palabra en el Mundo 2019. Women in Poetry! 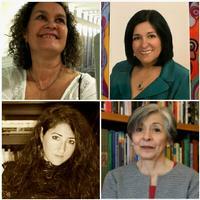 Dr. Norma Corrales-Martin (Colombia) , Soledad Chavez-Plumley (Colombia), Dr. Azahara Palomeque (Spain) and Dr. Aurora Camacho de Schmidt (Mexico). A Voice for Peace, Concord and Harmony: XII International Poetry Festival in Philadelphia (2018). Elevating our collective souls! Gracias! Add a Comment to Poetry Reading Circle: Celebremos Global Peace!